(by David Shepardson, Reuters) – The FBI said on Tuesday it was joining a criminal investigation of lead-contaminated drinking water in Flint, Michigan, exploring whether laws were broken in a crisis that has captured international attention. EPA Administrator Gina McCarthy met with officials and community leaders in Flint and told reporters she could not give a timeline for fixing the problem. She said the agency was examining where it [the EPA] may have fallen short, but declined to address the criminal probes. 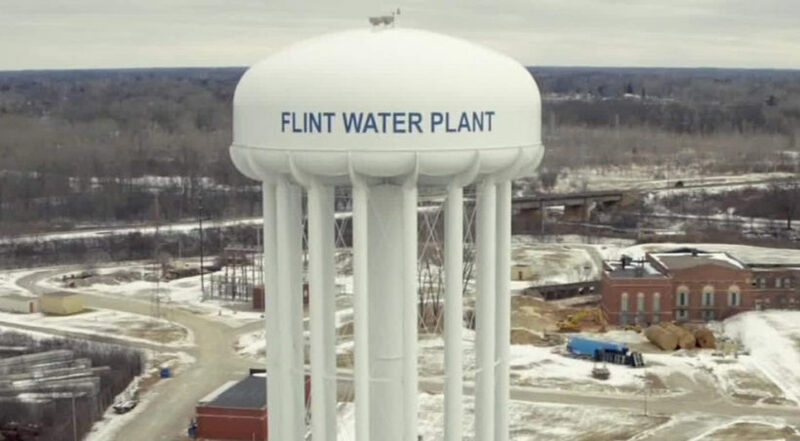 The city, about 60 miles northwest of Detroit, was under the control of a state-appointed emergency manager, Democrat Darnell Earley, when it switched the source of its tap water from Detroit’s system to the Flint River in April 2014. Michigan Governor, Republican Rick Snyder, who extended a state of emergency in Flint until April 14, has repeatedly apologized for the state’s poor handling of the matter. 1. List the federal government agencies that are working with the FBI to investigate the Flint water crisis. 2. What is the FBI looking to determine in its investigation? 3. a) What will the EPA examine in its investigation, according to EPA administrator Gina McCarthy? b) When does EPA administrator Gina McCarthy say the water problem in Flint will be solved? 4. Explain how lead got into Flint’s drinking water. 5. According to law professor Peter Henning, why is it likely that no one will face a criminal charge in the water fiasco? a) Flint’s drinking water system must be replaced as soon as possible. Who do you think is responsible to pay to replace the entire water system in Flint: the city, the state, or the federal government? Explain your answer. 7. This is a complicated story. Many put the blame on Republican Governor Rick Snyder, who has repeatedly apologized for the state’s poor handling of the matter. Read the “Background” below. What responsibility, if any, do you think the following have in this crisis? The criticism of Michigan’s Republican Gov. Rick Snyder omits any mention of Flint’s former Mayor, Democrat Dayne Walling, or the federal Environmental Protection Agency. The EPA’s top Midwest official told The Detroit News the agency knew about the lack of corrosion control in the water supply as early as April, after an EPA official identified problems with the drinking water, but did not make the information public. The paper also cited email exchanges between EPA officials and Mayor Walling showing what it described as a “lack of urgency” over the matter and a greater focus on procedure rather than public safety. Walling and other officials repeatedly told residents the water was safe but blamed state and federal agencies for the problems. Walling was voted out in November, with the water issue cited as a reason for his loss. Neither Walling nor the EPA’s alleged role in the crisis appeared in any criticisms from either Clinton or Sanders.